What is the Monitoring & Automation Service? 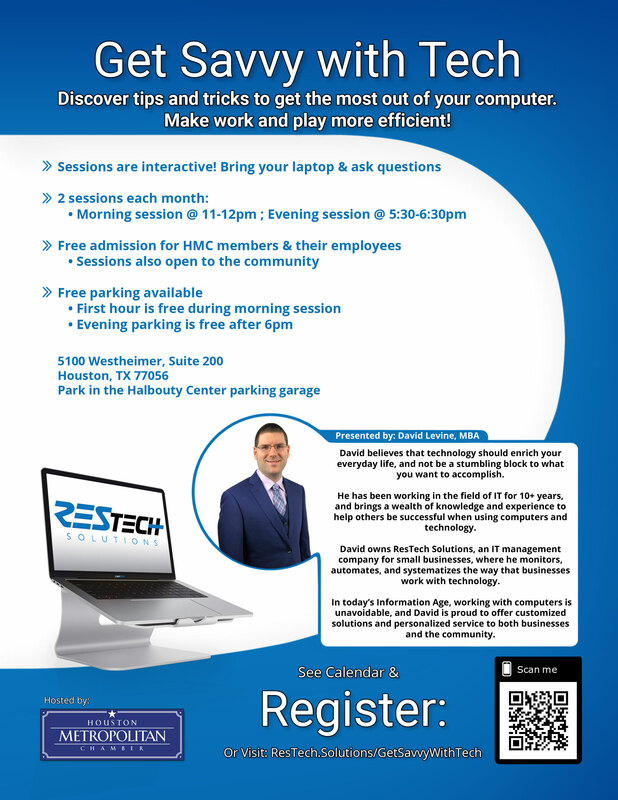 This service allows ResTech Solutions to monitor your computers, servers, and most network devices. The goal of this service is to be proactive to address any issues before they become a concern and before the user is aware there is an issue. This service also allows us to know the current status of any monitored device. When an issue is detected the system can take action automatically to correct the problem. For example, your anti-virus service stops running, and an alert is generated. The alert will then trigger an auto fix action to restart the service. This service can also be customized to your specific needs. How Does the Monitoring & Automation Service Work? The service works by installing an agent on each system which communicates back to our server. The system will then collect technical info on each system and monitor the system. When certain conditions arise an action or alert will be triggered. All issues are automatically logged as a ticket in the system so it can be tracked and worked. What Access Does ResTech Have with the Monitoring & Automation Service? To be upfront and provide full disclosure the monitoring service gives us remote access to any computer or server that is monitored. However, we will never connect to a system without your prior approval. Most of the time we will not need to remote onto a system while monitoring the system as our monitoring service sets up a console for each system that provides all the necessary information and tools to take many of the actions we need to, and this has no impact on the end user and will not disrupt their work. What is Included with the Monitoring & Automation Service? What is Not Included with the Monitoring & Automation Service? Any time spent to resolve issues not related to monitoring is not covered in the Monitoring & Automation service. Additionally, any time to resolve major issue that have been detected by the Monitoring & Automation service that is not considered a quick fix is not included. We currently offer three add-on services for the Monitoring & Automation service. Each of the services we selected integrates with our Monitoring & Automation service and will provide the same alerting and ticketing capabilities. For the Backups we use Acronis cloud and can backup specific files & folders or take a full system backup. Backups are taken daily during the week and are kept up to six months. For the Anti-virus we use Webroot and for the Anti-malware we use Malwarebytes. Malwarebytes also includes its anti-exploit and anti-ransomware protection. What are the benefits of the Monitoring & Automation service? One of the biggest benefits of the service is the sharing of solutions across all clients using the service. When an issue is discovered with one client and a solution is developed and implemented, it immediately become available to all clients. For example, if an update for Windows was discovered to cause an issue and had to be removed we would first block the update and set a new policy to remove it from all systems it was installed on. This solution gets built into the system itself and is applied to all monitored systems across all clients. Think of it as a communal sharing of knowledge. The Monitoring & Automation service is billed monthly and is charged per computer being monitored. Both the anti-virus and anti-malware services can be added for an additional fee or as a combo package and is also billed per computer per month. The backup service is also a per computer per month charge and is only available as an add-on service. Plans can be customized to meet your needs. If you like to know more or to setup service, please click on the link below to create a plan. Please understand that we do not list any pricing on our site as each client has unique needs and one size does not always fit all. We also offer all-inclusive plans which combine our Monitoring & Automation service, anti-virus, anti-malware, and a block of support hours – up to unlimited hours. We can customize a plan to meet your needs and budget.